Becky joins Wake Forest Pediatric Associates following an 8 year career as a Registered Nurse at North Carolina Children’s Hospital. Becky managed to complete her education at 2 angles of the triangle, completing her Bachelors of Science in Nursing at Duke University, and then her Masters of Science in Nursing from UNC Chapel Hill. However, she continues to hold her allegiance with the Wolf Pack. After gaining a knowledge base in nursing and acute care medicine on a general pediatric medicine floor, Becky hopes her experience and passion for children will translate into strong and collaborative relationships with her families at Wake Forest Pediatric Associates. Having a personal connection to children with chronic illnesses, she hopes to be a strong advocate and provider to families who may have some extra challenges. As an active member of the Triangle Down Syndrome Network, Becky volunteers her time in speaking with new mothers of babies with Trisomy 21. 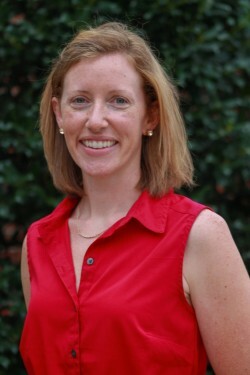 Originally born in Anchorage Alaska, Becky and her family moved to Raleigh when she was ten years old. After spending some time in Durham, Becky returns to Wake Forest with her husband, two daughters and the family dog. When away from the office, Becky enjoys strolling the beaches of North Carolina, staying active through exercise, and a variety of crafts. Select a medication above to begin.